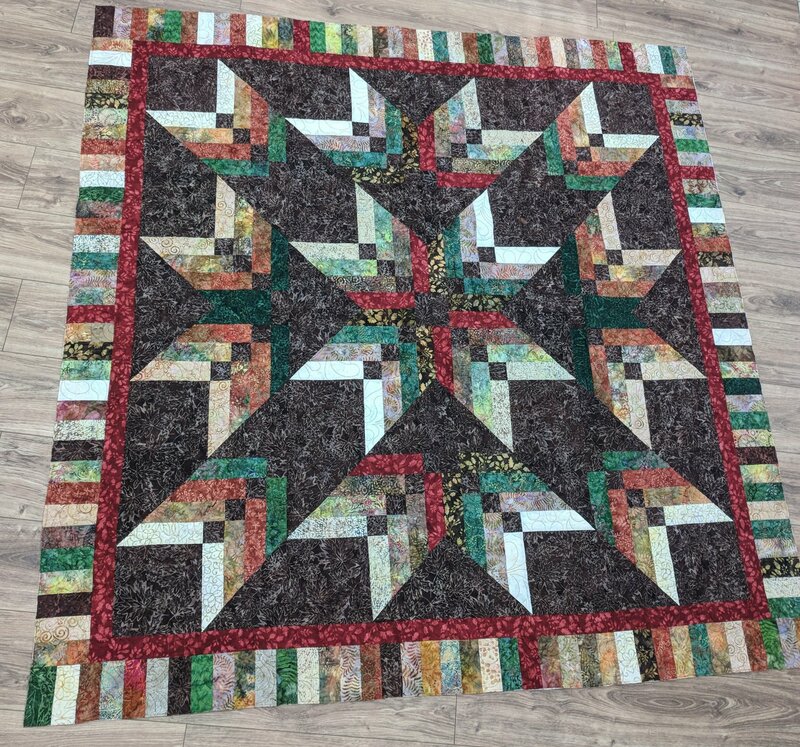 This is a beautiful quilt that is perfect for the beginner to the most advanced. It uses a ruler that has multiple uses - so you're not purchasing it for just one class. It makes cutting angles a cinch. This is a very dramatic, and stunning quilt. You'll be amazed at how easily it goes together!